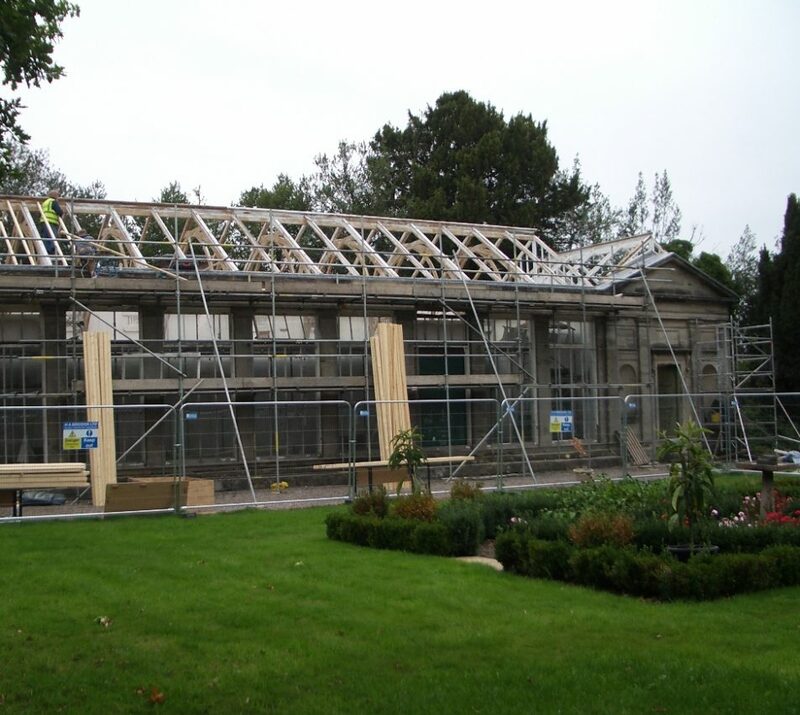 Refurbishment work at Ingestre Orangery site has now started in earnest. Currently the old glazed roof has been removed and the repair work to he existing rafters and trusses is underway. The foundations for the rear extension have been completed ready for the steel frame to be installed and the stonework repairs have commenced.